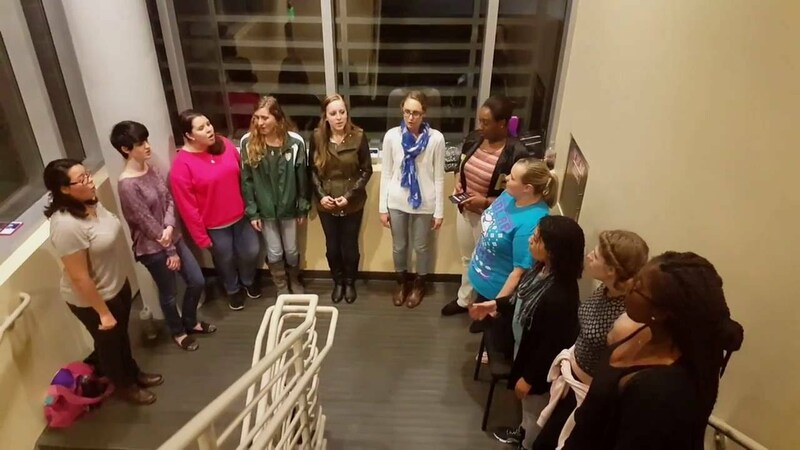 We are an all female college a cappella group. We sing a variety of songs for all occasions and we would be happy to use our repertoire and work with you on song requests that you might have. We are an all female a cappella group. We formed at USF and we perform both on campus and around the community. We consider our brand "sweet and sassy." We have performed at events such as Singing for Shriners and All Around the World. We are comfortable with learning songs in different languages, although it is not our preference. We have songs in our repertoire that are fast, slow, and from different genres and artists.